During the late 1940s and early 1950s, Mrs. Holmes pioneered the idea that the elderly deserve to age in a home-like environment, where respect and freedom of choice are paramount, and where older adults can actually enjoy full and meaningful lives during their later years. In 1951, ten philanthropic Cincinnatians joined forces in support of Mrs. Holmes’ vision and formed the Memorial Homes Foundation. The organization’s purpose was to provide loving homes and quality services for the elderly. Mrs. Holmes was named Executive Director of the Bishop Theodore Irving Reese Home, Memorial Homes’ first resident for 20 elderly ladies located in Clifton, a suburb of Cincinnati. 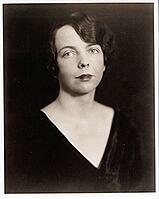 Among the Reese Home’s founding trustees was Marjorie Purves Lee. She dedicated her life to caring for her 20 “dear ladies”. When Mrs. Lee became terminally ill, her dying wish was that her husband, Charles, finance and oversee the building of a new and better home to provide continuous care for the ladies – and eventually other elderly men and women from across Cincinnati. Mrs. Lee’s wish came true in 1963, when the Marjorie P. Lee Retirement Community opened to 60 women residents on Shaw Avenue in Hyde Park. During his lifetime, Mr. Lee made major contributions to assist with the operation and maintenance of Marjorie P. Lee. He also provided a generous endowment to the Trustees of the Episcopal Diocese of Southern Ohio. The fund stipulated that its income was to be paid to the Memorial Homes Foundation (now ERS) for the exclusive purpose of assisting with the operation, maintenance, repair, renovation and restoration of the Marjorie P. Lee community. In 1985, The Memorial Homes Foundation changed its name to Episcopal Retirement Services (ERS). Today, ERS owns and/or manages 28 senior living communities: Marjorie P. Lee, Deupree House, and Episcopal Church Home in Louisville and 25 affordable communities across Ohio, Kentucky and Indiana. ERS also provides services to seniors who live beyond the walls of our communities through Parish Health Ministry, Deupree Meals on Wheels, and Living Well Senior Solutions. In the early 1800’s, a young man in Louisville, Kentucky named John P. Morton became seriously ill with fever and found himself in need of prolonged personal and medical care. To his dismay, he learned that quality facilities were not available to him. During a long period of convalescence in “dismal surroundings,” he vowed that if he ever prospered he would ensure that others needing similar care would never have to endure his discomfort. Many years later, Mr. Morton, a prominent Episcopalian and successful book publisher, fulfilled his promise to build a quality home for convalescent and retirement living. Episcopal Retirement Services is proud of it’s history of serving the needs of seniors across Ohio, Kentucky and Indiana. From its earliest days caring for 20 women in a single home to becoming a multi-community and multi-service organization, ERS’s not-for-profit difference has helped seniors enjoy their later years with freedom, choice and purpose. Episicopal Retirement Services and Episcopal Church Home in Louisville, KY affilliate.